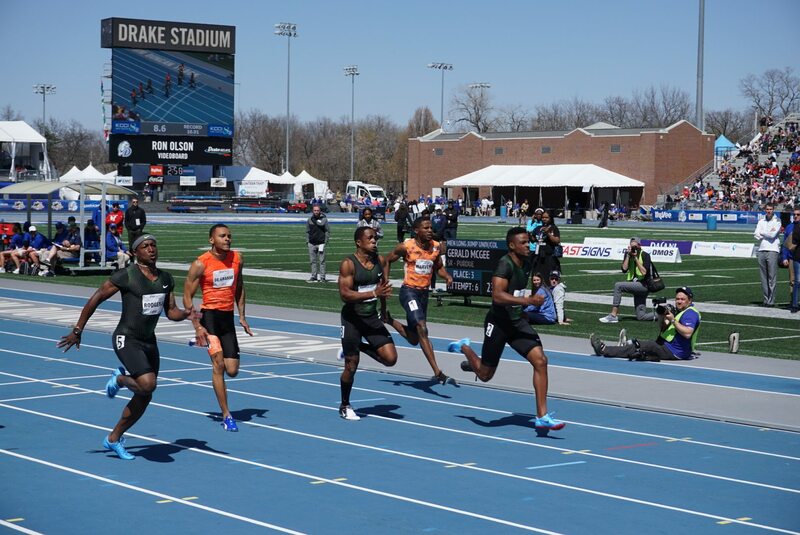 The 109th Drake Relays wrapped up this weekend in Des Moines, IA. Also known as the America’s Athletic Classic, it’s one of the nation’s most historic track meets. Each year, past and future Olympians as well as college and high school athletes compete to break records, set new personal bests and win points for their schools’ teams. There are also road races open to the public including a 5K, 10K and half marathon along with the annual Beautiful Bulldog Contest. 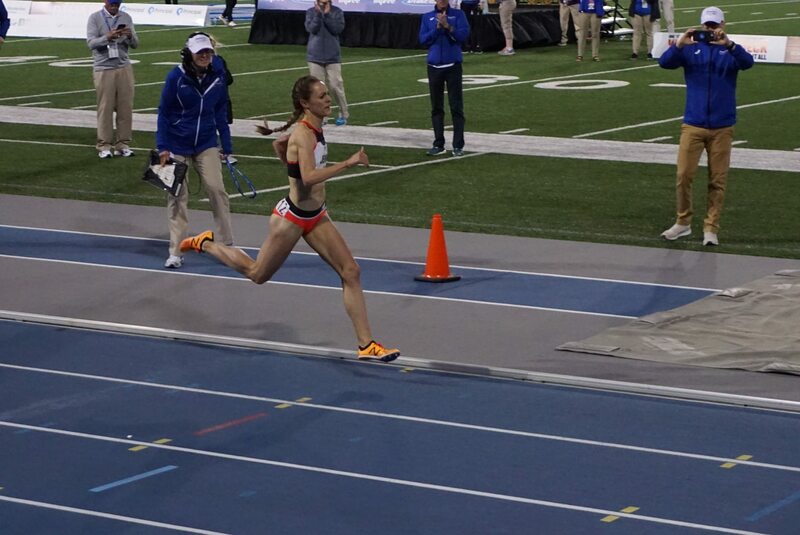 This year we watched Jenny Simpson crush the American 2-mile record. On Friday night, the race took place under the lights in cool, breezy conditions. She started out at her normal calm and controlled pace, letting the pacer break the northern wind for the first half of the race. In the second half, Jenny took a strong lead and it became clear that it was going to be a race against the clock. Despite having no one to push her, Jenny flew around the track and clocked a 63-second last lap to finish in 9:16:78, smashing the record that Shannon Rowbury set in 2014 with a time of 9:20.25. Other highlights include Sandi Morris’s win in the women’s pole vault with a clearance of 16 feet and three sub four-minute mile finishes. Kendra Harrison won the women’s 100m hurdles for the third time in a row, and Isiah Young won the men’s 100m race in 10.02, while Andre De Grasse came in a surprising fourth place. In the collegiate competition, Purdue University’s women broke the Drake Relays 4x400m record with a time of 3:28.42 and won the Hy-Vee Cup. Similarly, The University of Iowa men secured their Hy-Vee Cup with a win in the 4x400m relay. High schoolers also made some impressive finishes, including Linn-Mar’s Payton Wensel who ran the 400m hurdles in 1:00:25, breaking a 10-year-old meet record. Congratulations to all the professional, college and high school athletes who competed this weekend. Kudos to you! Great recap!!! Drake relays is always such a cool event. Thanks for sharing! Also notable was the addition of an official ALUMNI TENT and all of the cool alumni that came back to reminisce and catch up on life.